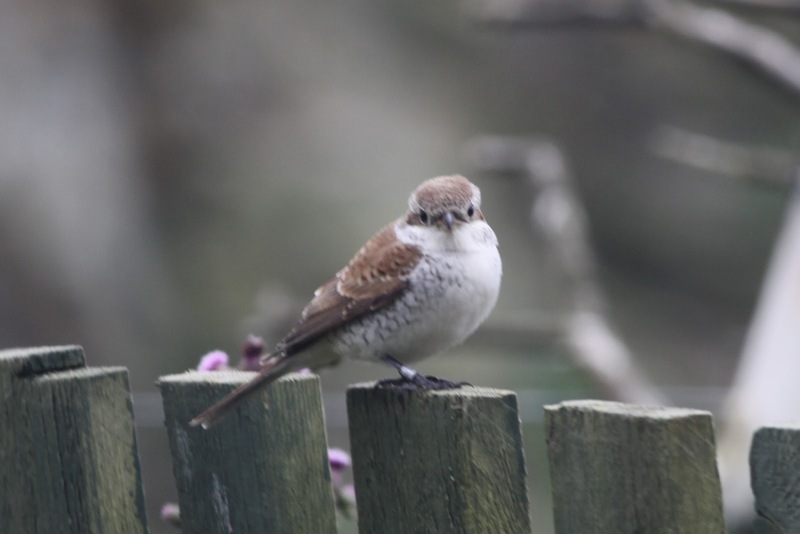 It's always nice when office work is interrupted by a Red-backed Shrike just outside the window. A relatively quiet spell as westerly winds kicked in (and were rather strong by 10th), although a Fair Isle ‘quiet spell’ can still see a few good birds and so it proved, with new arrivals on 9th lead by a Barred Warbler at Schoolton and Red-backed Shrike at Field Ditch and 10th headlined by an elusive (but quite vocal) Little Bunting at the Chalet (our earliest autumn arrival since 1997) and an Icterine Warbler near South Harbour. The Subalpine Warbler was still present to 9th at least, whilst other lingerers included Red-backed Shrike at the Obs (so two were present on the island on 9th-10th), 2 Common Rosefinch still at Kenaby and Lapland Buntings (which increased to 10 on 9th). A Pintail on Utra scrape briefly on 10th and 2 Little Stints on the same day were also worthy of note, but mostly the last couple of days have seen a decrease in most migrants, with only a few dozen Wheatears remaining and Meadow Pipits down to a ‘mere’ 363 yesterday. Today has started calm and with drizzle, it’s not ideal conditions, but the first Yellow-browed Warbler of the year pitched up on Shetland yesterday and there could well be one or two birds lurking out there today. Time for one last September surprise? Sun, sea mammals and scarcities.